Now that the sun doesn’t set until well past six or seven o’clock in most parts of the country, you have the chance to really make the most of outdoor activities this summer. For some people, that can be as simple as walking to the local park to toss a ball around. For others, though, they need something that brings them into closer contact with everything nature has to offer. If this sounds like you, you’re probably no stranger to hiking. Whether you’re climbing your favorite wooded hill or exploring a new one for the first time, there’s nothing quite like the feeling of walking through nature the way it was meant to be experienced. However, just like everything else you do outside this summer, you need to be aware of all the ways a slip on an errant root, a bite from a nasty bug or even the sun overhead can turn your pleasant hike into a trip to your nearest CareWell urgent care center. If you have a few hikes planned out this summer, check out these four common ways a small injury can ruin your trek. Other than a healthy food supply, supportive footwear is the most important thing you need to bring along for a serious hike. Along with protection from the strain that a lot of walking puts on the arches of your feet, you need a boot that covers the high ankle as well. Why? Because joint sprains are some of the most common hiking injuries. Slipping on a stray root or a loose rock in your path usually isn’t going to send you tumbling, but it could tweak the ankle you have to walk on for the rest of the day. Even if your ankle makes it through intact, the sudden torsion could travel up your leg to wreak havoc on your knees or even hips. Every time you go outside when the weather is warm and moist enough to allow insects to thrive, you’re at a slight risk of bug bites. When you travel to hills and mountains, though, you’re entering bugs’ home territory. Whenever you see a significant amount of standing water near your hiking spot, assume that insects aren’t far behind. Bug spray can provide some protection, but you could sweat it off or it could just lose its effectiveness after an hour or two. Don’t let little injuries ruin your big hiking plans. Let’s say you have the best pair of hiking boots money can buy. Even with these, you could still walk enough to cause a less severe but no less painful injury that most people don’t even think about until they get one: blisters. Formed when the top layer of skin is sheared away from the one underneath, these fluid-filled sacs can be incredibly painful if they develop on the soles of your feet or in between your toes. In fact, if you don’t deal with these as soon as they form by visiting your nearest CareWell urgent care center, you run the risk of popping them and letting them become infected. 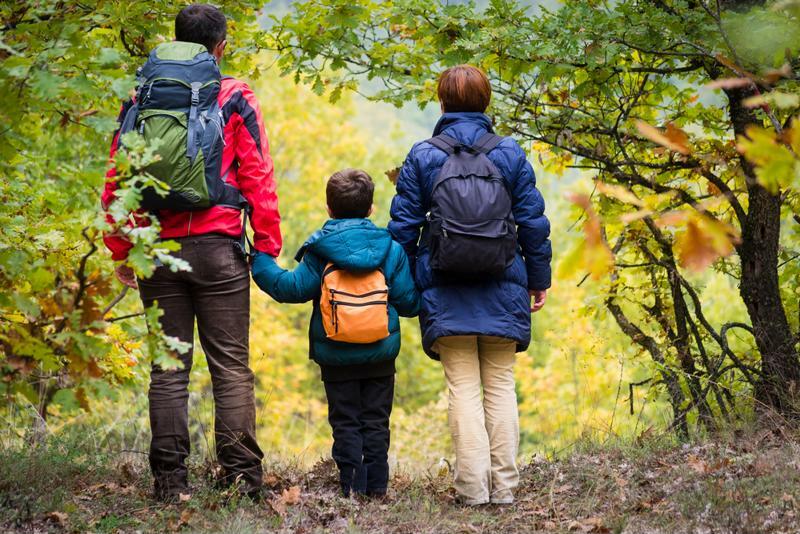 Experienced hikers might think they have all their bases covered when it comes to heading out for a trip, but you just might bite off a little more than you can chew by trekking further than you normally do. And if you didn’t pack the necessary supplies, such as water and calorie-dense snacks, you put yourself at risk of several exposure-related issues. Dehydration, heat exhaustion and heat stroke all occur because hikers didn’t plan ahead properly for their trips. While a bottle of water and some sunscreen can do wonders for you while you’re on the trail, CareWell can do just the same when you come back down to earth.